In the southwestern portion of the United States, Arizona sits in between New Mexico, Nevada, and California. 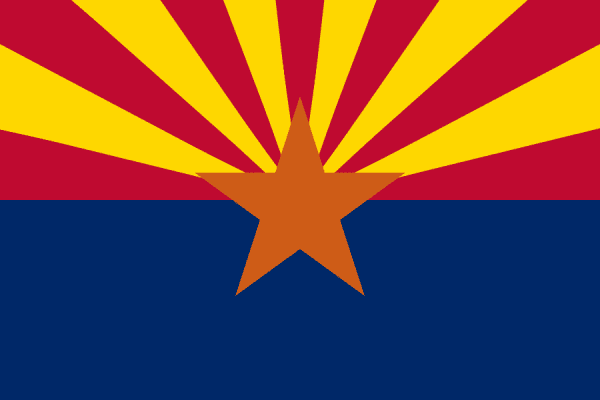 Arizona ranks 6th in the country for the area of land it covers and is ranked 15th with the population with 6.6 million. The capital of Arizona is Phoenix and the metro area around the city is the most populated area through the state too. The state of Arizona is very different in the south and north regions. The northern region is a forest filled area with harsh winters and the southern half is desert climate with hot summers. About a quarter of the state is made up of Indian Reservations and the state is known for the Grand Canyon, several national forests, parks, and monuments. The state of Arizona is constantly being heated up with temperatures and also hot with scrap metal recycling. Scrap Prices in Arizona are changing just as often as the temperatures are rising. It is important to keep track of the current scrap prices in the metro areas of Phoenix and Tucson. With the iScrap App residents of Arizona will have the opportunity to keep track of scrap prices in the area by searching for scrap yards. Scrap prices can also be reported through the iScrap App and allow recyclers to keep track of what the going rate for different metals are. Make sure to check out the yards in the Arizona region and keep updated on scrap prices. The economy in Arizona is made up of a wide variety of industries but has a significant impact on healthcare, transportation, and the state government. Early in Arizona’s history, they relied on the 5 C’s for their economy, copper, cotton, cattle, citrus, and climate (tourism). Copper is still a large part of the industry there with mines throughout the whole state and accounting for about 2/3’s of the nation’s output. Pretty relevant that the state nickname is the Copper State. The larger metro areas throughout the state like Phoenix, Tucson, and Flagstaff will have the best scrap yards to bring your copper too. Locate the junk yards and auto wreckers in Arizona today on the iScrap App. You can search with you zip code and get the current prices for scrap metal, request containers, parts, and car pickups.